Went to Da Shi Jia Big Big Big Prawn Noodle 大食家大大大虾面 at Killiney Road for lunch today. We had the basic Big Eater Prawn Mee and the Big Eater Big Prawn White Bee Hoon. 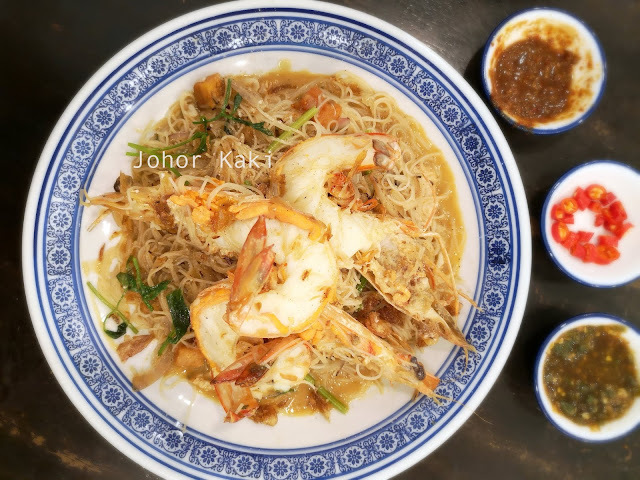 I enjoyed both dishes and was especially delighted with the Big Prawn White Bee Hoon. Haven't been back at Killiney Road for a while. 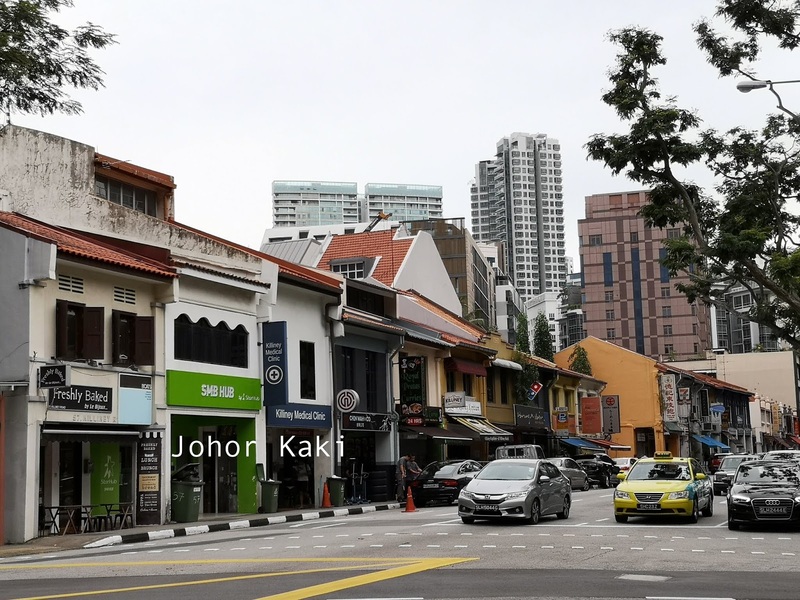 This was once a favourite haunt because I can get free parking near Orchard Road (outside office hours) and escape from shopping mall food and prices. 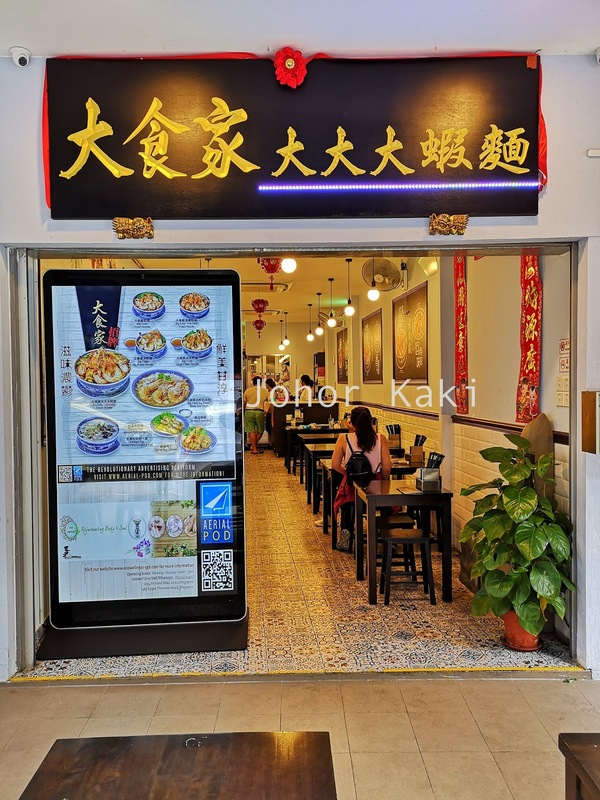 Da Shi Jia Big Big Big Prawn Noodle is a little shop lot restaurant - one of several Killiney Road boutique eateries which make this little stretch of road so interesting. The long and narrow space inside was quite compact but the tables were well spaced out, so we felt quite comfortable. 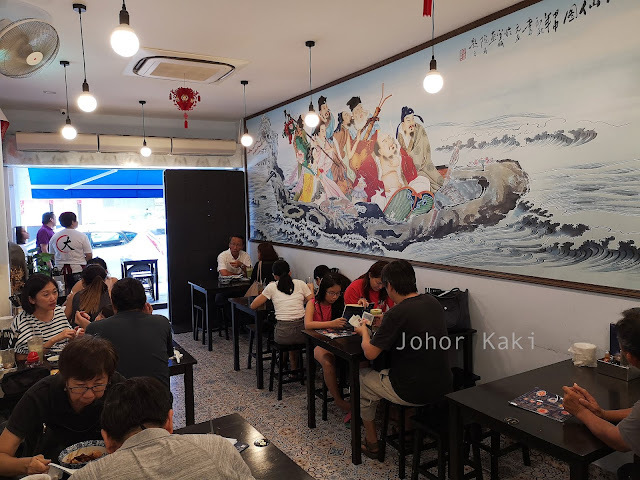 The huge imposing painting of 八仙过海 Eight Immortals which stretched across the entire wall on one side signals to me that this place is about traditional food and flavours. The menu consists of various options of prawn noodle (different big prawn sizes and soup or "dry" versions), fried white bee hoon, and sides like crispy prawn roll and salted egg chicken. 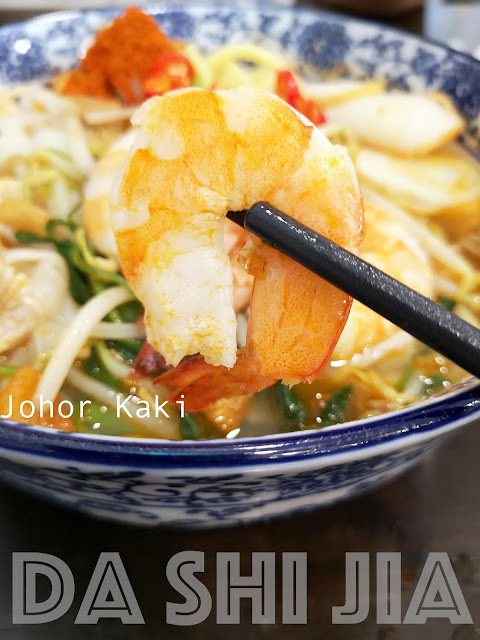 We started with a basic Da Shi Jia Prawn Noodle - the option with the smallest prawn. 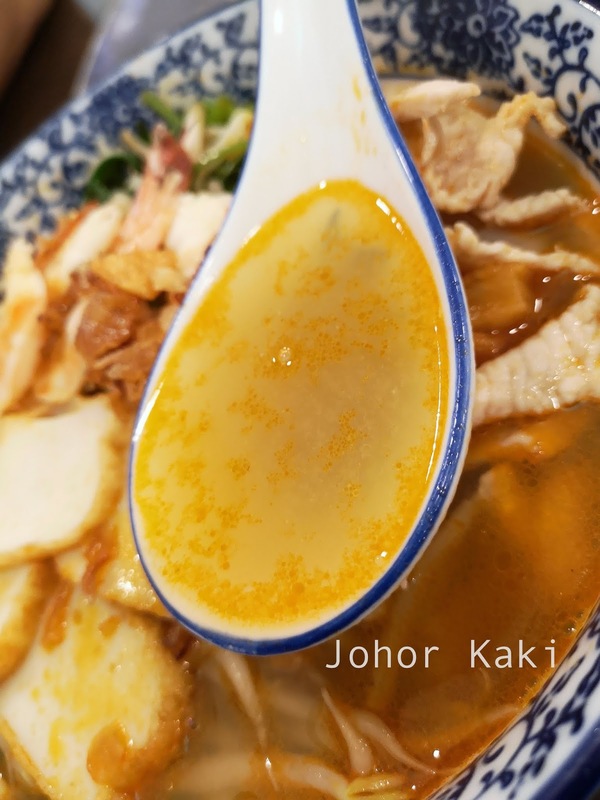 At $5.80, I thought it is a reasonable price near the core of the city. 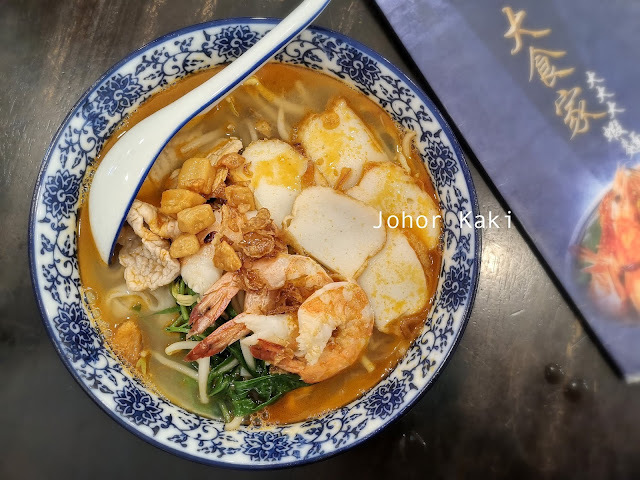 First thing first for prawn noodle is the stock - I like Da Shi Jia's prawn stock because it is finer and more delicate than others. 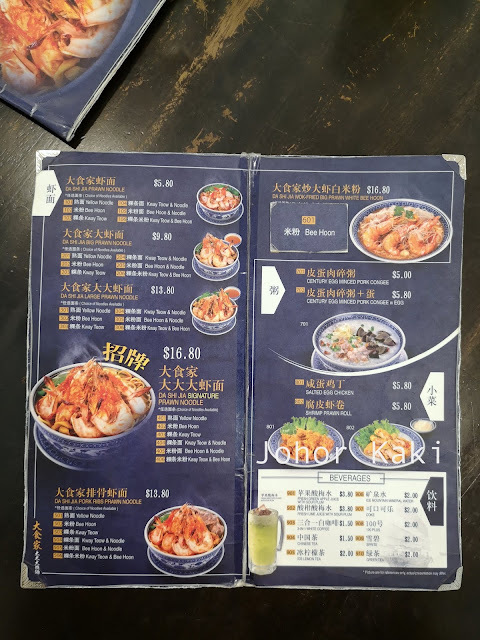 The crustacean savouriness just reaches the fine line between umami and saltiness without crossing into saltiness - at the boundary between 清 cheng and zhok, without crossing into zhok. It was light in body but its umaminess still packed a nice clean punch. They have various spicy sauces and condiments to boost flavours but I really felt that the stock is best as it is. I didn't want any of these to throw the finely tuned flavours off balance. Even this basic version has good size prawns which were shelled and halved. The meat was fresh and subtly sweet. Fresh crispy aromatic lard croutons. 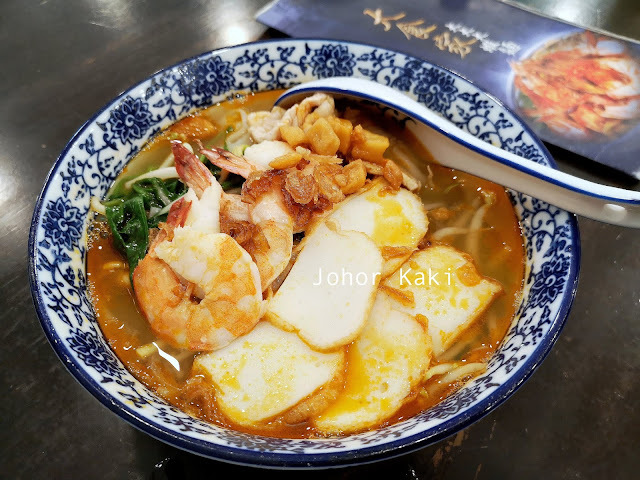 I enjoyed Da Shi Jia's basic prawn noodle for its many layers of clean tasting savoury sweetness from the light stock, prawns, lean pork slices, fish cake slices, noodles etc which were at the right intensity for me (not too harsh and hard i.e. not zhok). 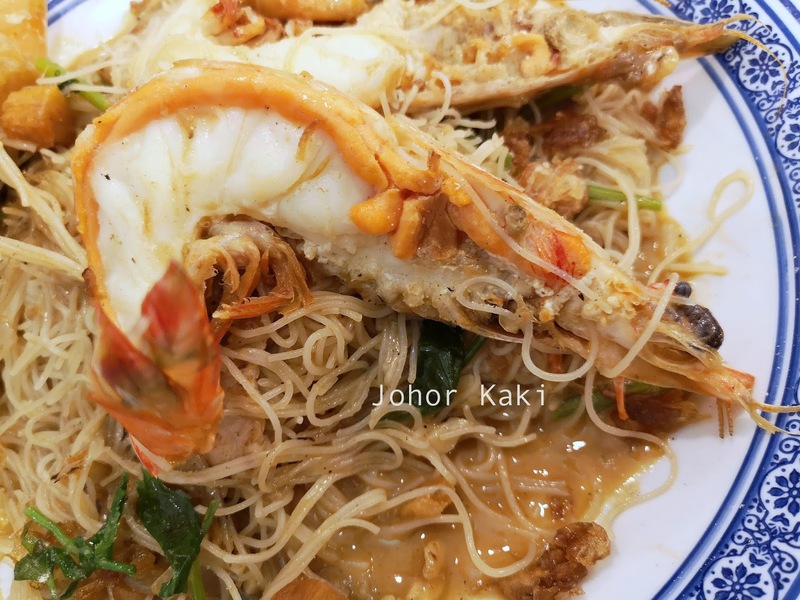 Da Shi Jia Wok Fried Big Prawn White Bee Hoon (price $16.80). The dish didn't look pretty. Large prawns halved with shells in a twisted tangled heap on top of not-so-white bee hoon (rice vermicelli). 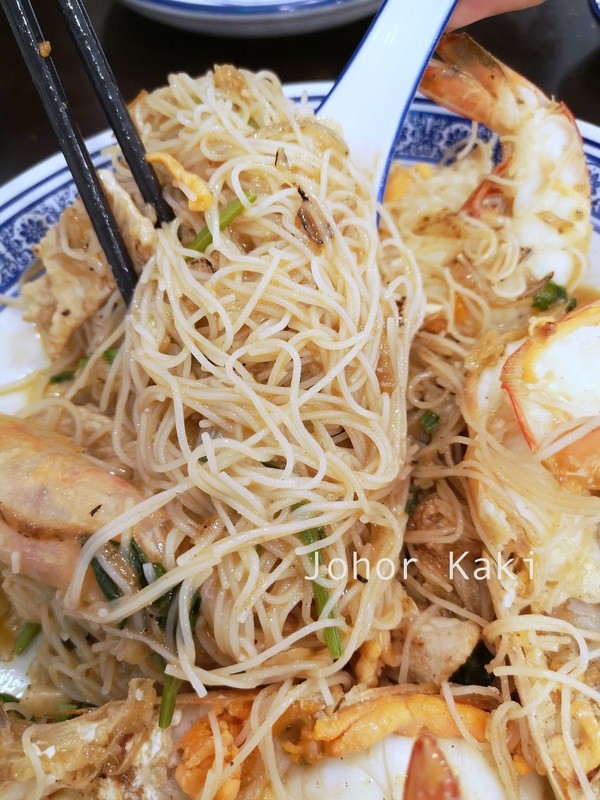 I casually took a mouthful of bee hoon between my chopsticks and was "blown away" by the savoury crustacean and garlicky flavours. 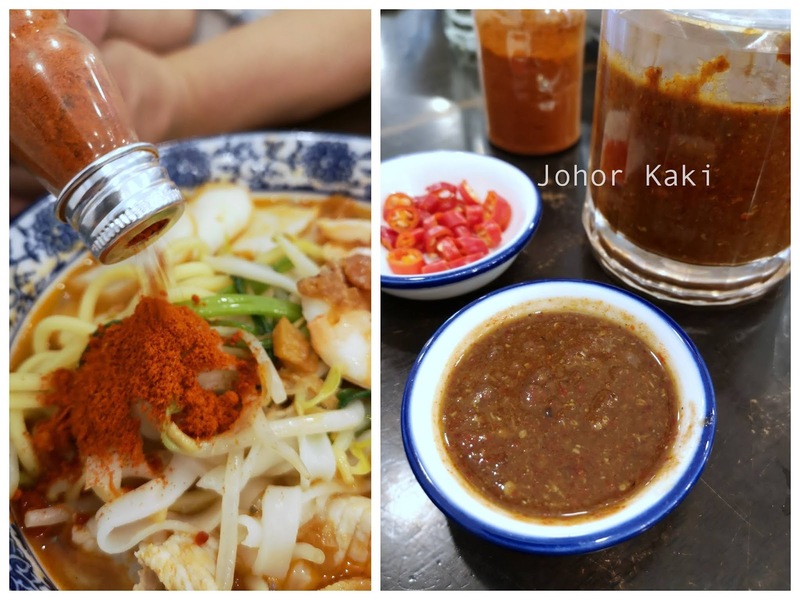 If you have been following my blog, you will know that I write plainly and do not use hyperbole in my writing but "blown away" was actually how I felt. The bee hoon was stir fried with lard, caramelised garlic and then briefly stewed in prawn stock. The resulting not-so-white bee hoon did a great job of absorbing the concentrated prawn stock's crustacean savouriness which exploded in the mouth when we chewed on it. 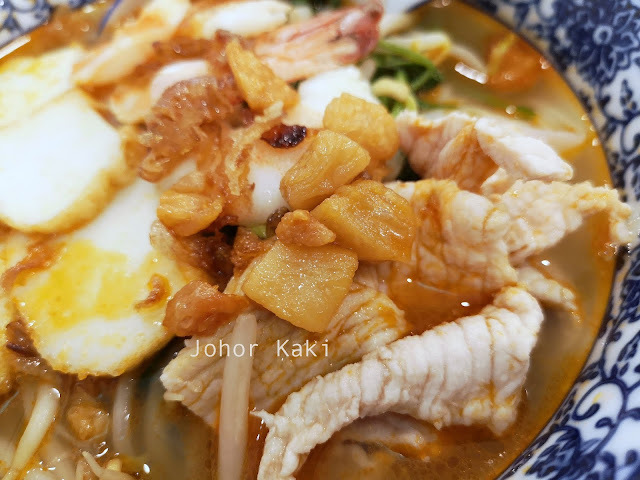 These meaty big prawns carried more sweetness in its crunchy flesh than the smaller ones used in the basic prawn mee. 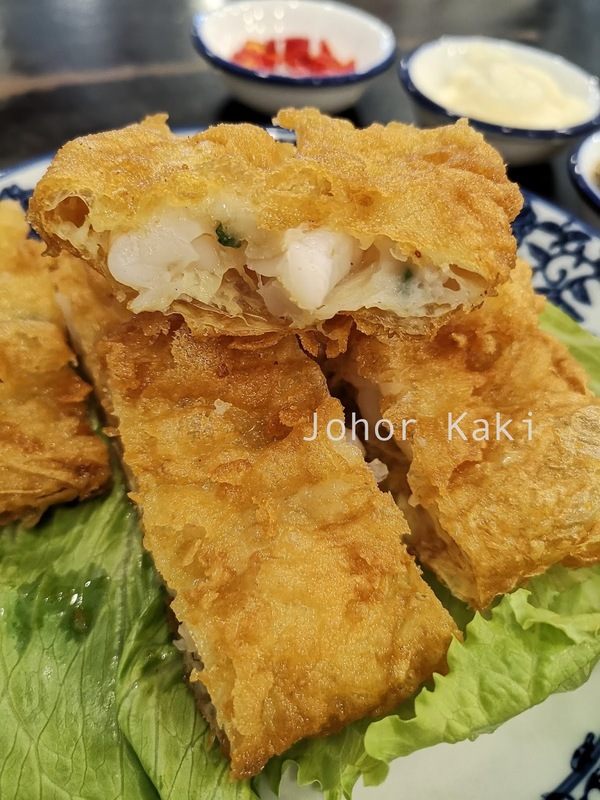 We also had Da Shi Jia's Prawn Roll (price $5.80) which is fresh prawn meat wrapped in tofu skin deep fried to a crisp just before serving. The crispy tofu wrap was nice but the prawns were a little too mild tasting. Da Shi Jia Big Big Big Prawn Noodle owner Seth literally has F & B in his young blood. 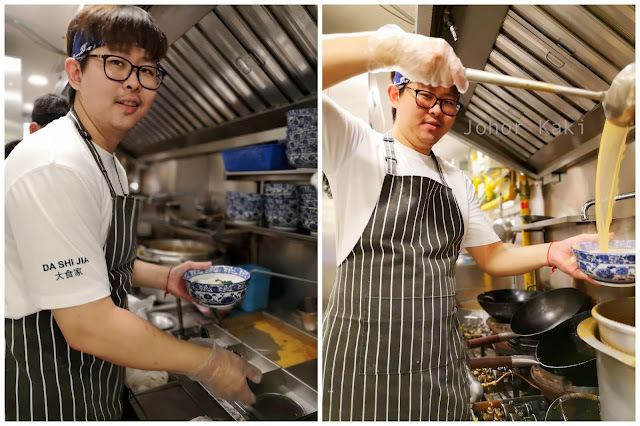 He worked at his dad's 大食家 Da Shi Jia chain of 煮炒 tze char shops since he was a boy. Seth then went to study at At-Sunrice GlobalChef Academy before spending a year as a disciple to Uncle Kim, an experienced Penang prawn noodle hawker. Seth is a very hands on chef-owner and leads his team in his tiny kitchen (which is open and visible at the back of the shop). 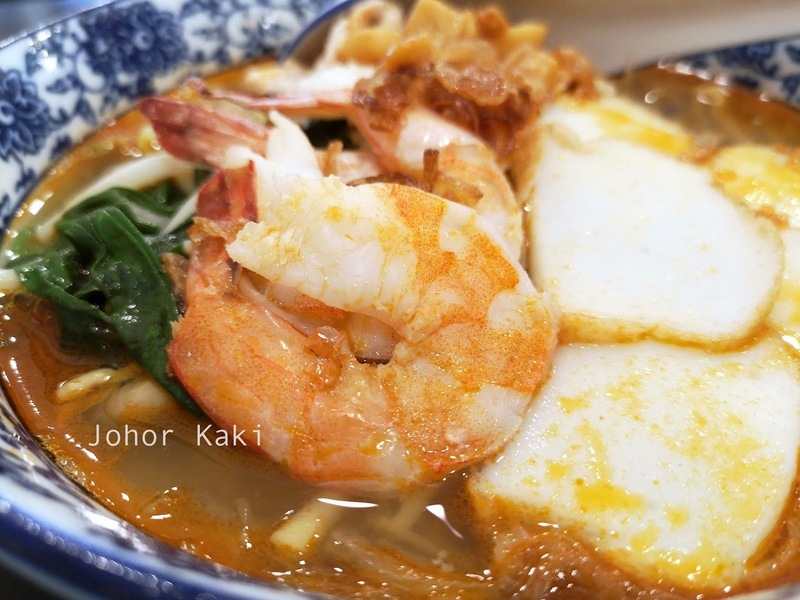 Seth uses fresh wild 红脚 Ang Kar (Red Feet) prawns. 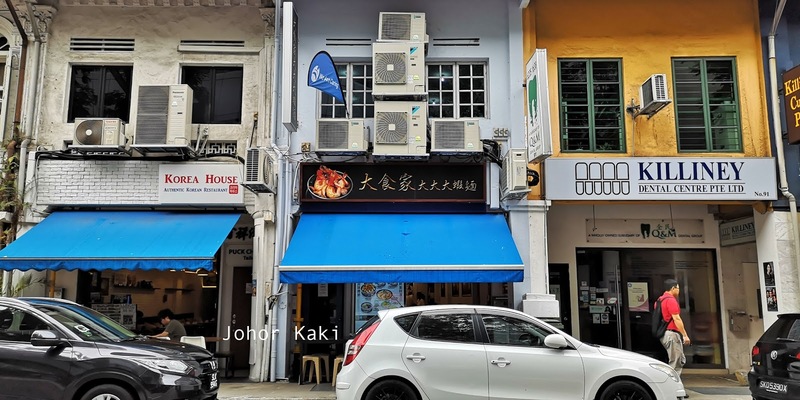 He has a well established supply chain which also supplies his dad's Da Shi Jia tze char chain of 10 shops. 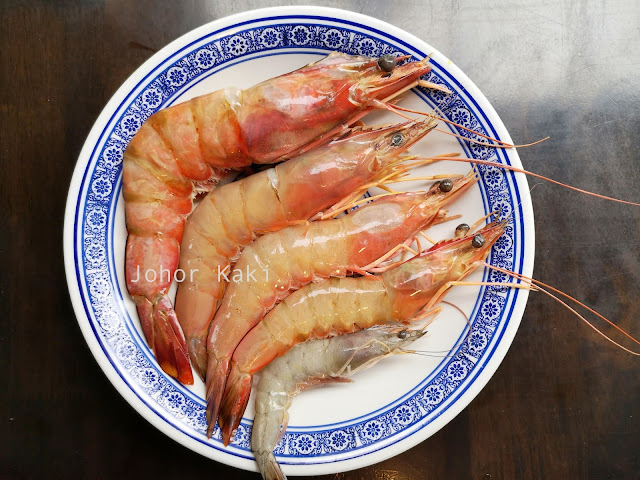 When wild Ang Kar stock is not available, Seth will substitute a higher grade of prawns - so customers get only wild Ang Kar or better prawns (at the same price 👍). 👉 When I want a kick from white bee hoon with big prawns, I will come to Da Shi Jia Big Big Big Prawn Noodle at Killiney Road. When I want a homely, comfortable cheng cheng clean, natural tasting prawn mee soup, Da Shi Jia is also the place for it. Disclosure: Seth declined our payment for the food consumed.